Over the last few years British band Furyon have been making a name for themselves with some great live performances as they tour and play at festivals. Their debut album, Gravitas was given away free with Metal Hammer magazine in the UK, but is now receiving a proper release both in the UK and the rest of the world. For anyone who got it with Metal Hammer this new full-blown release comes with better packaging and more importantly comes with two bonus tracks. 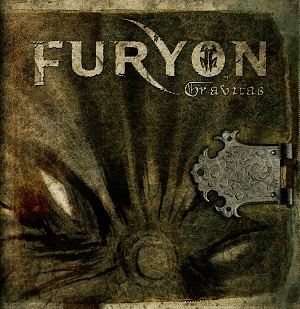 If you haven't listened to Furyon yet, the first question is what the hell are you waiting for? They play rock music with a big guitar sound, great riffs and great vocals and most important - they write damn good songs. They've got a sound that would work equally well in a big arena as in a small venue - they manage to make the music powerful and heavy while still keeping it grounded to a level that will attract a wide range of fans. There's a great mixture of songs here from the fast to mid-paced, very heavy to the not so heavy. What they all have in common though is their quality. I can see Furyon giving bands like Nickelback a serious challenge given the right support - in fact Furyon would make an ideal support act for Nickelback as I can see them appealing to most of Nickelbacks fan. An excellent album - highly recommended. Gravitas is available now via Frontiers records.